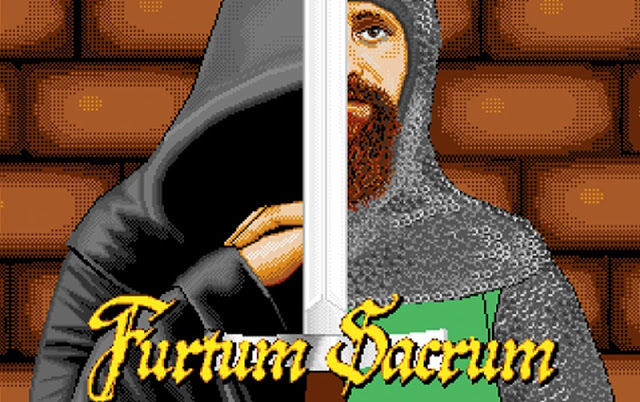 We've already featured this game (here) so I'll not go too much in depth with it, but sufficed to say Amigawave has now released the English demo version of their Medieval adventure game ' Furtum Sacrum ' for the Amiga. This is a promotional demo and shows the game as a work in progress and allows you to explore parts of the game as if it were a movie set, prior to the final release. According to the story teller, in the full version you'll have to solve crimes and find the offender set in the time of the pilgrimage. Compatible with any Commodore Amiga with 1mb of chip ram. The demo release does not require a hard drive installation and does not represent the final build of Furtum Sacrum.